Earth has been invaded by aliens from a parallel dimension in an attempt to wipe out humanity and harvest the planet’s natural resources. The invaders have caused most of Earth’s technology to fail, sending entire governments into collapse and crippling mankind’s ability to defend itself. Join the scattered resistance and dedicate yourselves to driving the aliens back to their homeworld. 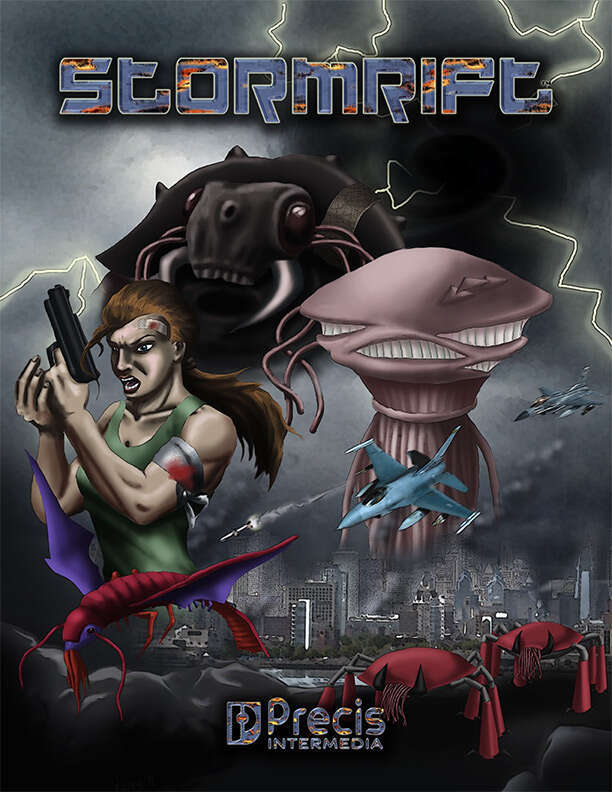 Stormrift is Precis Intermedia’s new roleplaying game from the mind of Peter C. Spahn. Stormrift features the easy to learn, fast-playing genreDiversion Third Edition rules. Stormrift is available today at RPGNow.com.